President, Centre for Partnership Studies; author. 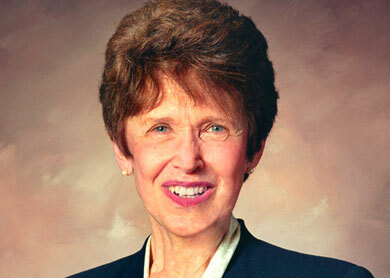 Dr Riane Eisler is an eminent social scientist, attorney, author, and social activist. She has written a number of influential books and articles, and is a consultant to business and government on applications of the partnership model introduced in her work. Dr Eisler holds degrees in Sociology and Law from the University of California Los Angeles (UCLA). She taught on women and the law at UCLA and is a founding member of the General Evolution Research Group, a fellow of the World Academy of Art and Science and World Business Academy, and a commissioner of the World Commission on Global Consciousness and Spirituality. Eisler is also co-founder of the Spiritual Alliance to Stop Intimate Violence. She is President of the Centre for Partnership Studies dedicated to research and education. Eisler has been honoured with the Humanist Pioneer Award and the first Alice Paul’s Equal Rights Amendment Award. Read Riane’s paper “Roadmap to a new economics for future generations“.